I would like to introduce myself…I have held the position of VA4WDA President since 2010 and look forward to serving the membership of VA4WDA for many years to come. I have also held the following positions in the Association: Newsletter Editor from 2008 to 2013, and Member at Large 2008 to 2010. I have been a member of Tidewater Fourwheelers since 2000 and have served as their Vice President and Secretary. I also co-coordinated, with my wife Sandy, the VA4WDA Annual Trail Ride from 2006 to 2010. I have enjoyed holding the office of VA4WDA President and look forward to continue serving you, the membership of VA4WDA. The BOD and I are working hard to get the membership numbers up and to help to fight to keep our public lands open for our sport. We as a BOD work hard to keep the word about land use issues flowing to the membership of this Association. Remember, the greater the numbers the louder the voice. What you Wheel: 2006 Jeep Golden Rubi, yes its better than ironmans! I joined Tidewater Fourwheelers, VA4WDA, United Four Wheel Drive Assoc, and Tread Lightly in 1992. Later, I joined The Blue Ribbon Coalition and Starr Motors Off Road Club. Over the past years, I have held offices in T4W including Treasurer, Secretary, Vice President, and President, some offices more than once. I have served as member at large for VA4WDA and am currently the Vice President for the last 3 years. And you could say that I have been the event coordinator for Tidewater and VA4WDA for many years, planning picnics, parties, and trips - Tidewaters’ Annual Trail Ride, beach days, VA4WDA Annual Meeting, VA4WDA Annual 4X4 Expo. 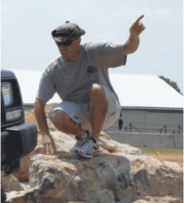 We worked with Joe at Starr Motors to help create and form ideas for the current off road course at the dealership. Four wheeling became my life many years ago. 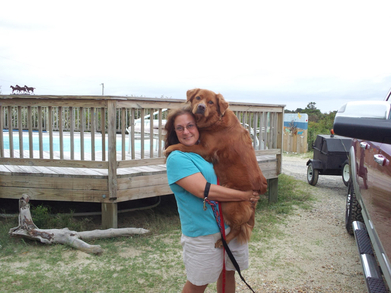 My two children, Heather and Travis, were raised in the Tidewater family. As adults, they now have their own four wheel drive vehicles. My husband, Jesse, and I attend every event possible. Especially fundraisers that help fight battles to keep our recreational lands open and available for us all to use. It is an honor to serve as the Vice President for your Virginia Four Wheel Drive Association! 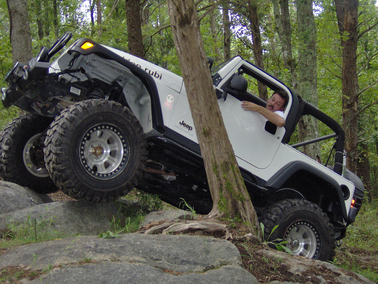 My name is Paul Szabo I have been a member of Middle Peninsula Jeep Association, Inc. since 2010. Just a couple months after joining, I became treasurer and remained so until 2012. I have been an avid 4 wheel drive nut since high school when my mom and dad handed me down my first jeep. It was a 1985 CJ-7. Since then, I have owned 5 more jeeps – 3 TJs, 1 XJ, and my current jeep, one bad 1988 YJ. I’m 43, so I’ve been an enthusiast for about 25 years. While I am primarily a jeep guy, I am a fan of all 4-wheel drives. I love old Land Rovers, Land Cruisers, Broncos, and Internationals. Let’s be completely honest – I’m a motorsports enthusiast. I also love very fast cars. One of my favorite shows right now is Street Outlaws! One of my favorite trips each year is the Annual Trail Ride hosted by Tidewater Four Wheelers. I attended my first one in 2010 and have gone each year since! – getting stuck was never so much fun! I also enjoy my time at the playground behind Starr Motors…both at the VA4WDA Board meeting and also again for the MPJAI annual picnic. I am a professional Realtor with Long & Foster Realtors in the Richmond area. I have been married for 30 years and have 2 sons. I've lived in the Richmond area for most of my life (so far). I've lived in Rockville for the last 22 years. I was a member of Old Dominion 4 Wheel Drive for 20+ years, racing Jeeps for about 12 years, before moving to Capital City Four Wheelers. I have been President of CCFW for the last 5 years and VP before that. What you Wheel: My "trail" vehicle is a 1981 Jeep Scrambler. to volunteer whenever I can.